I had both the Amsco Planet of the Apes and Space:1999 Adventure playsets. They were fun to assemble and play with after. 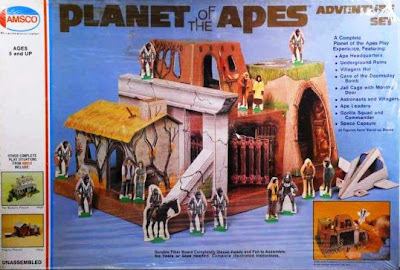 I was very pleased that the Planet of the Apes set included the ANSA spaceship! 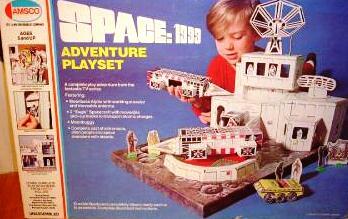 Wow, that Space: 1999 set looks awesome... I've never seen or heard of these before. 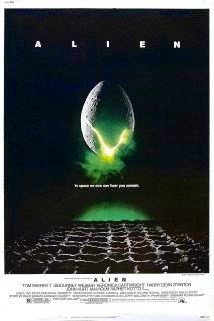 Were they kits that you assembled? All printed cardboard, I'm guessing? Being that paper models and toys are a passion, these Amsco play sets have always had a huge attraction for me. Unfortunately, some of them fetch a lot of money on EBay, though the Walton's playset can often be found at a decent price. As always, thanks for posting these toy images! Hey John, great pics. I fondly recall the Marvel World set. It was one of those toys that I got for Christmas and it lasted until about Easter. 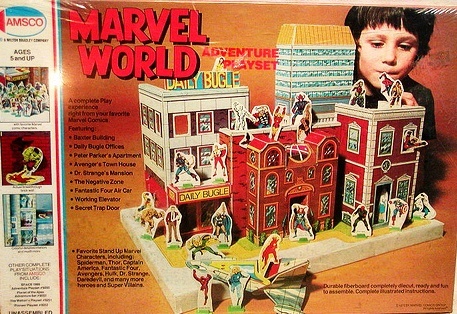 By that time the little buildings were crumpled and half the superheroes had gone AWOL. 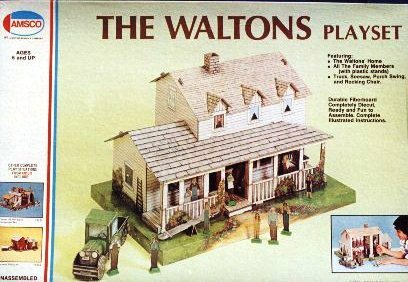 Imagine the disappointment waking up on Christmas morning to find a Waltons Playset under the tree!